Party Package Icing To Go! | Welcome to Marta's Cakes! 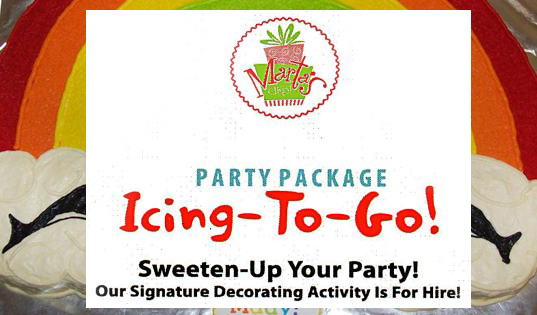 Add more sweetness to your party by having one of our signature decorating activity! Our Icing to Go Party packages are a sure fire way of entertaining your guests, making them decorate their cupcakes (or cookies) and eat them too!